The annual science fair has rolled around again, and this year, you’re determined to win the top prize. The competition will be fierce, but with some well-timed moves, strategic decisions, and inspired designs, you might just be named the best inventor around! 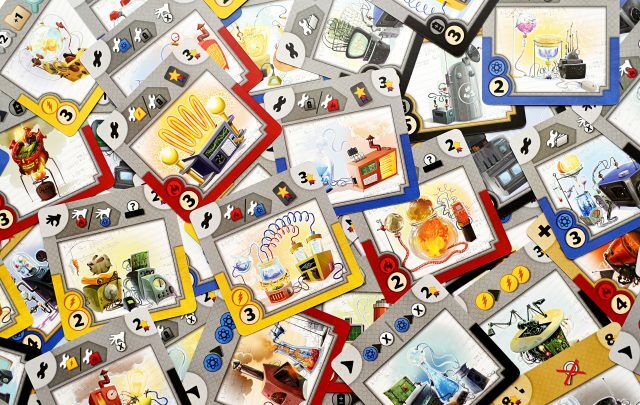 In Gizmos, players take on the role of inventors, trying to come up with the best new machines around. The different designs can synergize to create powerful combinations and make simple turns extraordinarily dynamic. Everyone starts off with their dashboard and a lowly workbench to tinker around on, but soon it will become a thriving centre of invention. Three different levels of Gizmos are available, becoming more powerful, but more expensive in the higher levels. 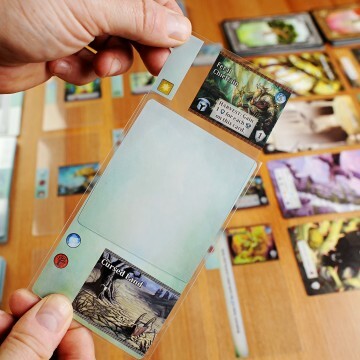 On a turn, players can do one of four different actions. They can File one of the face up Gizmos, saving it for themselves to build later. They can Pick an Energy Sphere from the Dispenser, gaining capital to build Gizmos later. Speaking of which, they can Build Gizmos, returning the necessary Energy to the Dispenser and adding the Gizmo to the appropriate column under their dashboard. Finally, they can Research, searching the top three cards of one of the three different piles for a Gizmo, and then building it immediately or Filing it for later. 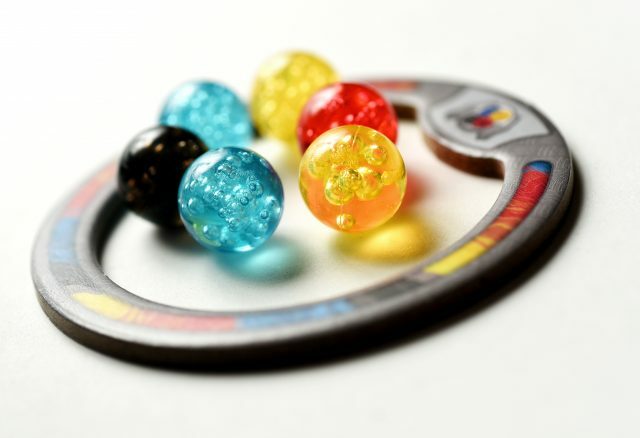 Each Gizmo has a cost in Energy Spheres to Build it, an effect, a point value, and a classification indicating where it should be placed on your dashboard. For example, a Gizmo classified with a Build symbol goes beneath that action, making it more powerful. When you build in the future, you’ll get the benefit of that effect. Aside from improving the four actions, some Gizmos are either Upgrades or Convertors. Upgrades allow you to hold more Energy Spheres in reserve, File more Gizmos, or Research more cards. Some of the level three Gizmos require extra energy to Build, so you’ll need to Upgrade your abilities if you want to snag them. Convertors allow you to change some of your Energy Spheres, making certain ones wild, or doubling the power of some. 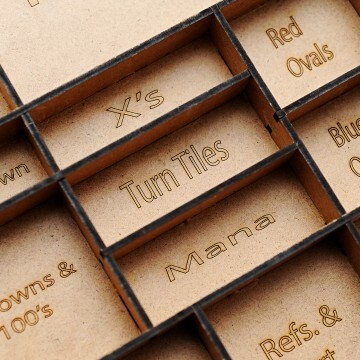 These abilities give you flexibility when you’re looking to Build. 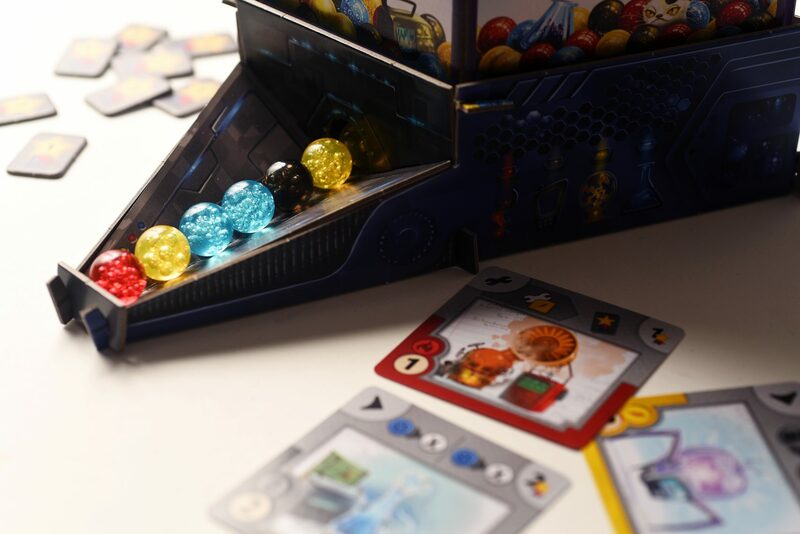 The centrepiece of Gizmos is the Energy Dispenser and the cool, colourful Energy Spheres. The Dispenser makes for a neat visual component, that can be really helpful or frustrating, depending on how lucky you are with the Energy that appears. Gizmos feels like an economic game to an extent. You’re building up your engine, looking for ways to make your cards work well together. It typically starts off slow, with players setting the stage for big moves later in the game. Once they really get going, turns can be epic, cashing in on big combinations. Game end is triggered when a player completes their 16th Gizmo, or their fourth level three Gizmo. The current round is completed, and players total their points for built Gizmos, point tokens, and any Gizmos that earn end game points. I have always been a big fan of the designs of Phil Walker Harding. From Sushi Go, to Cacao, to Imhotep, he has an ability to create highly accessible and replayable games. I actually got to see Gizmos in its early prototype form, when it was simply card-based. It has been interesting to see its evolution after a year of development. Gizmos might be his most widely appealing game yet. 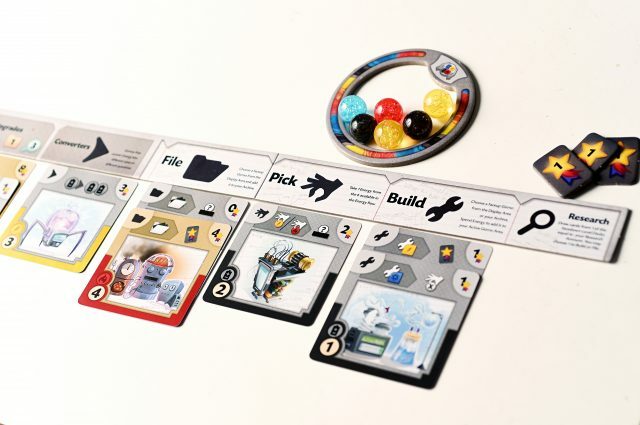 Kids and families will be drawn to it, for the simple rules and beautiful components. Veteran players will embrace the potential for finding synergies in their strategies and love it when a plan comes together. 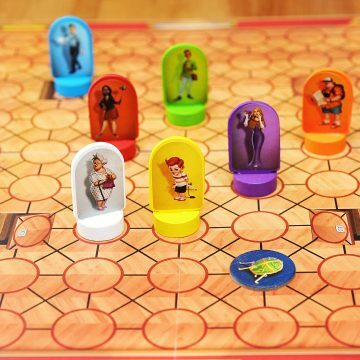 Inevitably, Gizmos will draw comparisons to other games, but it is a really fun experience that stands on its own. Sean – great write up and a fantastic game! Gizmos is definitely one of my most anticipated games for this year. It has an excellent design, its fun, smooth and offers a number of strategies to choose from depending on the gizmos available to build.